Authors John Connolly, Declan Hughes and Stuart Neville will be taking part in the New York launch of the academic collection of essays The Contemporary Irish Detective Novel and Neville's latest novel So Say the Fallen. 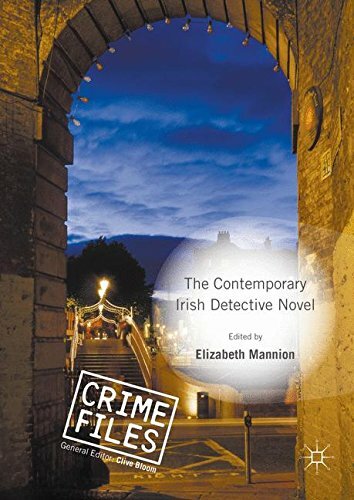 Edited by Elizabeth Mannion, The Contemporary Irish Detective Novel considers the detective genre’s position in Irish Studies and the standing of Irish authors within the detective novel tradition. Besides Connolly, Hughes and Nevile, it explores the work of Peter Tremayne, Ken Bruen, John Banville (as Benjamin Black), Brian McGilloway, Tana French and Jane Casey. The free event is at 7 pm on September 13th in the Glucksman Ireland House at New York University. Directions here.